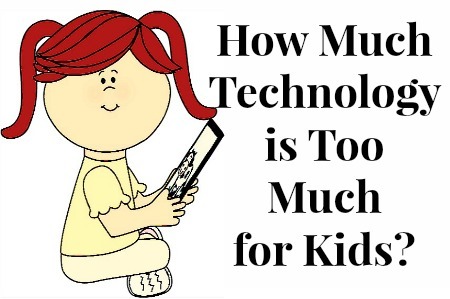 How Much Technology is Too Much For Kids? We live in an age consumed by technology. The big debate used to be around how much Television was too much for kids, but now, there are new things to worry about. Television is the least of our worries now considering the large variation of devices on the market. For instance, in our home we currently have: Two Androids, a tablet, 2 kids learning tablets, a laptop, a television and 2 gaming consoles. This seems like a lot to me. However, we use them frequently for many different reasons, so I am grateful to have them, but where do we draw the line? I think it’s hard to determine how much “Screen time” is too much for Children. There is an abundance of research out that suggest time limits and so on, but how many of us actually follow it? I think it’s up to the parents to determine what their individual children need in terms of technology time limits. 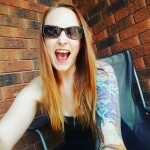 When the weather is nice, I would much rather take my Children outside to run off their never ending energy reserve, than to allow them to camp out in the house watching a screen! I also like to encourage as much independent play time as possible. If we are indoors and I am cleaning, I try not to use the electronics as a babysitter, I tend to involve them in helping as much as possible. There are many situations though, in which devices become handy. If I really ever just need them to sit still for half an hour, allowing them some free time on whatever device they choose can be helpful. Especially with all the new apps for Kids these days! There ARE some days in which I have allowed too much screen time for whatever reason, I would never claim to be perfect! I just try to limit it wherever possible. I also encourage my children to use learning apps or their tablets whenever they are using their screen time! I like to see them having fun but also using something that will teach them new skills and ideas. Do you have lots of technology in your home? Do you limit screen time or just let your children choose for themselves? Our girls both have iPods, but we limit their use to certain times (so actual play time, reading, and chores are not compromised). For the most part, they are really good. They always ask if they can bring them when we are going out. They are both not allowed to take them out of the house unless they are with me or my wife (or both).